India has ranked very poorly at 133 in a new Global Youth Development Index compiled by the Commonwealth Secretariat on the countries’ prospects for young people in employment, education, health, civic and political spheres. India ranked 133rd in the index covering 183 nations, below neighbouring countries like Nepal (77), Bhutan (69) and Sri Lanka (31) and trailing behind the South Asian average. However, the report released last week found that it has registered an 11 per cent improvement in scores over the last five years, highlighting the need for greater investment to reap the so-called demographic dividend. “One in five young people in the world on Friday live in India, which makes it one of the most youthful countries on the planet,” said Abhik Sen, the lead author of the ‘2016 Global Youth Development Index’ report. “While India’s overall rank is relatively low, it has registered an impressive improvement of nearly 11 per cent in its youth development scores in the period between 2010 and 2015. The research for this report also shows that youth development levels in India lag particularly in the domains of health, education and employment. Improvements in these sectors will give India a much better chance of reaping a handsome demographic dividend,” he said. The improvement in India’s score between 2010 and 2015 is explained by a significant rise in the proportion of young people with an account at a formal financial institution (58 per cent increase), reduction in the adolescent fertility rate (29 per cent fall), adoption of a new youth policy, and improvement in the gross secondary enrollment rate (9 per cent rise). 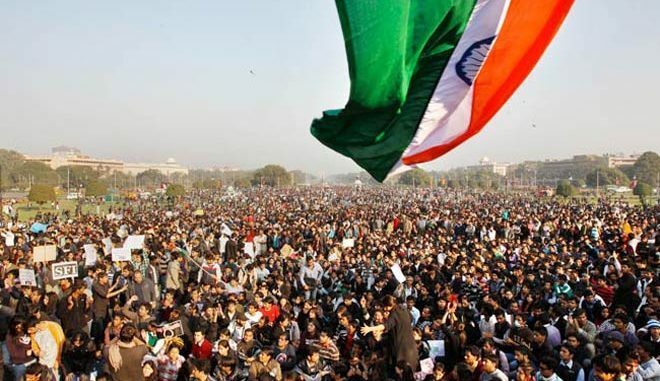 The report highlights that India accounts for nearly 20 per cent of the global youth population, with nearly 345 million young people between the ages of 15 and 30 living in the country. This makes India one of the countries currently experiencing the most significant “youth bulge” – with nearly 27 per cent of its total population made up of young people. The areas where improvements are called for include education, employment opportunity and health and wellbeing. In India, one in every three children (31 per cent) is not enrolled in secondary schools, against a global score for the same indicator of 19 per cent. In the field of employment opportunities, India trails behind the rest of the world significantly, ranking 152nd. The top 10 countries on the index are largely from Europe – Germany (1), Denmark (2), Switzerland (4), United Kingdom (5), Netherlands (6), Austria (7), Luxembourg (8), Portugal (9) – with Australia (3) and Japan (10) as the two exceptions.